Secure, real-time communication in one powerful push-to-talk (PTT) app. Works with iPhone, Android, and the web. You can hear messages as people speak, or listen later at your convenience. 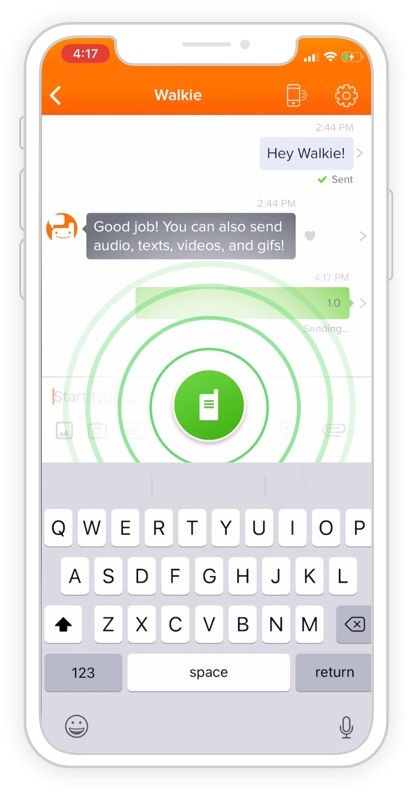 Use instant voice communication alongside text, photos, video, gifs, and share your location. Works on any network on iPhone, Android, and the web. A private communication network for larger businesses and high performance teams. Dedicated Cloud or On-Premise Hosted Solutions. Learn how to modernize your hotel team with real-time communication. Silvercar stays safe behind the wheel with our hands-free technology. Dispatch with ease to remote teams. Learn how Roto-Rooter stays connected. Never miss messages and avoid dropped calls on the construction site. Take learning to the next level. Collaborate among faculty and students. 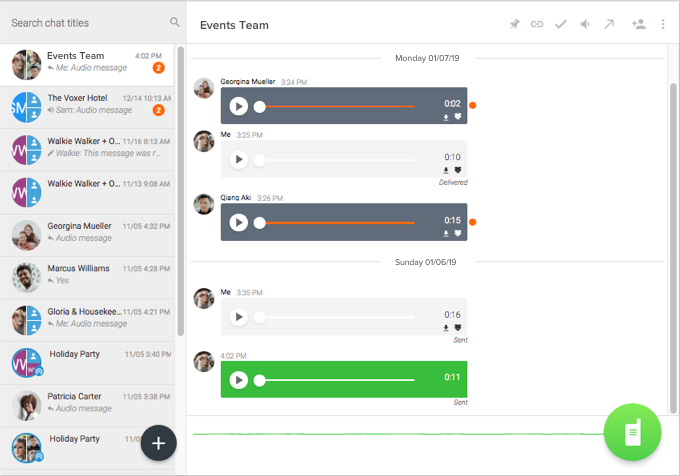 Communicate across timezones and bring your team closer together. Never let a driver go missing in action with location sharing. 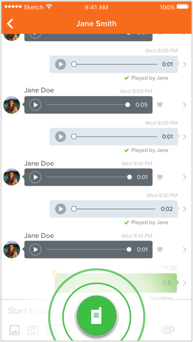 Stay on task with Walkie Talkie mode and read receipts.